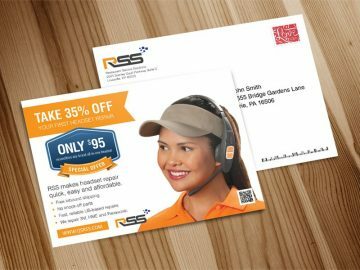 Want to showcase your postcard designs to your clients? Or perhaps send out a couple of postcards to your family and friends? 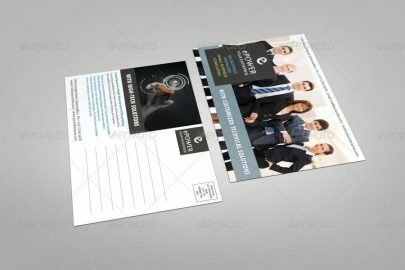 You can impress them with a professionally done work with the Postcard Mockup. This premium set of templates is available for FREE. You can download them in Photoshop PSD file format. Are you looking to communicate with family or friends? Do you miss them and just want to get in touch with them? If communication through social media isn’t your thing (or if you prefer some other way that’s more intimate and personalized), why not send them postcards? Postcards are a great way of reaching out to loved ones. By sending out postcards, you’re telling people they are important. You’re taking the time to get one, write out a personal message, and then sending it through mail or personally handing it to them. It’s a simple yet meaningful way of saying the recipient is important to you and you are thinking of them while you’re away. On a professional level, people would also send out postcards to bosses, colleagues, business partners, and acquaintances. It’s a touching gesture of goodwill, professional courtesy, and mutual respect. Which is why sending out postcards isn’t out of date. Did you know you can create a professionally done postcard fast and easily? With the Postcard Mockup, you can! This amazing template lets you choose from a wide range of designs. What’s great about it is that it is FREE! The premium Postcard Mockup collection is available in Photoshop PSD file format. And you can download it here. Whether you’re looking to give out a couple to friends and family or to your work colleagues, the Postcard Mockup set has something for everyone. There are plenty of templates that you can use—different types, different shapes, and different sizes for different personalities. Pick one that best suits your needs and preferences. Here are a couple of reasons why we think sending postcards is still cool. Do you think postcards are obsolete? In a digital world dominated by Instagram, Facebook, and Twitter, does anyone still send postcards? You might be wondering why would anyone do that, if there are still any that do. Admittedly, sending out postcards seems like it’s a dead practice. People would simply go online and get in touch with each other. It’s more practical that way. And it’s a more convenient avenue if you want to contact friends and family. Even companies connect with prospective employees through LinkedIn and similar social media platforms. In today’s age of social media, you may think this spells the doom of the art of sending postcards. Come on, when was the last time you received a postcard? Was it close to 20 years ago? Or better yet, when was the last time you wrote a personal message in one then sent it out? Call us old-fashioned but we think it is still in style. Does it sound a bit ridiculous to send out cards? With the conveniences that we have today, it may seem impractical to give out postcards when you can simply log on to social media and connect with people. Because sending postcards is a more personal and thoughtful way. Giving out postcards goes to a more intimate and personal level. It’s basically telling the recipient you are genuinely thinking of them. It’s more than a “how are you?” and sort of a “wish you were here.” Because you are putting extra effort into it, this makes people feel warm and fuzzy on the inside. Sadly it’s not too often that we see people sending postcards nowadays. Because postcards are great souvenirs. Nothing brings joy to someone else when they know you have something for them from your travels. It could be a key chain or a snow globe. But postcards are the best representation of the places you’ve been to. It captures the true essence of that spot in our world you visited. Of course, we’re not saying that you only limit your souvenirs with postcards. Bring a stuffed toy or some tasty treats too. With a handwritten, personalized note, postcards truly immortalize the precious moments. Something that may be preserved and enjoyed for generations to come. Plus, they look good when framed and put on the wall too. Because postcards are inexpensive tokens of friendship and familial bond. For just a couple of cents, you can get a postcard for your loved ones. Plus you can send them from anywhere you may be. Now, now. You might think social media is inexpensive too. And you can get online from anywhere (as long as there’s WiFi. But are Facebook, Instragram, and Twitter as expressively thoughtful and intimate as postcards? Because postcards can last a lifetime. Computers crash, files get deleted, and data get erased off cyber space. Postcards aren’t all that. Frame it and hang it on the wall. Or put it in an album. It’s like an artifact that you keep and show to kids and grandkids. The practice of sending postcards is definitely not dead. It may have lost its popularity as today’s generation is more obsessed with social media. But assuredly it isn’t gone for good. Which is why this premium Postcard Mockup set is perfect. Available in Photoshop PSD file format, these templates cater to everybody’s preferences and needs. The Postcard Mockup set contains different types of designs that you can easily customize. Using smart objects, you can add your own elements to arrive at your personalized designs. 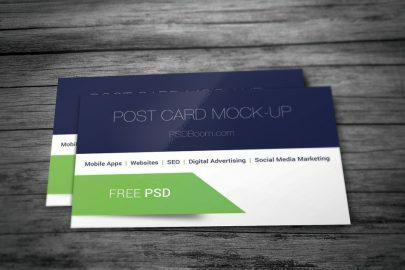 The Postcard Mockup set doesn’t only feature free templates. If you want a few more premium mockups, there are many available too. With its high-quality, professionally done features, you’ll surely love these designs. 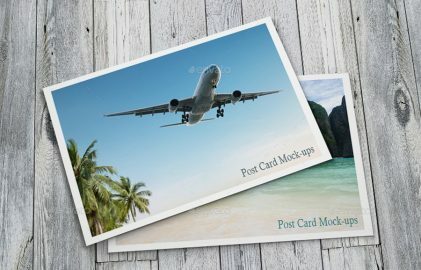 Get the Postcard Mockup Set for FREE! Want to get the Postcard Mockup Set? You can download over 34 of the best templates from this collection for FREE! We’re pretty sure you’ll love these mockups because they’re of high quality. Make sure you also check out our other mockups that you can download here for free. If you like this and our other posts, please share it with your fellow graphic designers, family, and friends.